01 | June | 2011 | SHANNARO!!! I’m not going to lie, I was not very impressed with Bleach this week. Nor was I entertained by any of the big Shonen manga this week for that matter. Not much happened, so I’m going to keep the review this week brief, and hope Tite steps it up next week. The spar between Ichigo and Ginjou continues. Just as expected, Ichigo is progressing prodigiously. 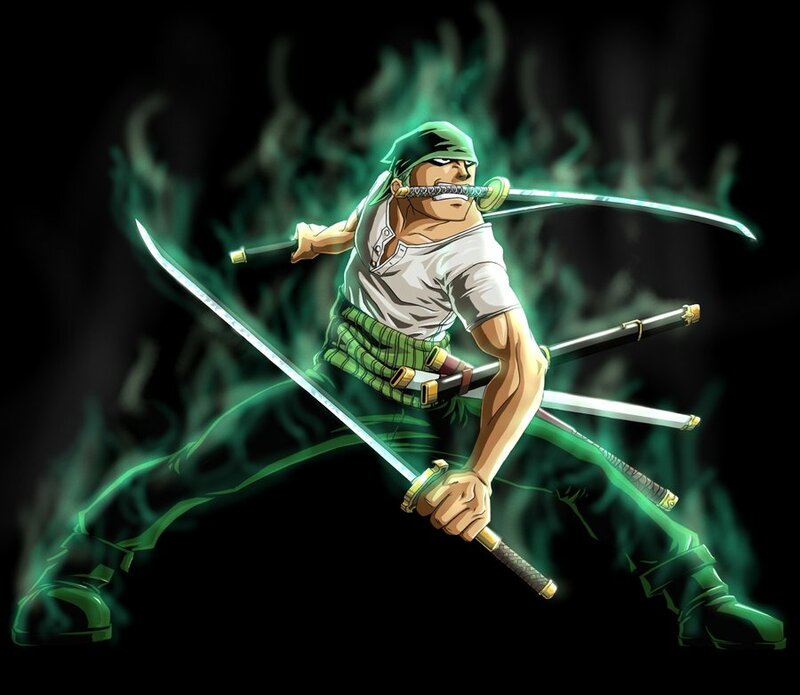 Ginjou demonstrates the versatility of his sword, as he uses the grip in the blade to combat opponents in close quarters. 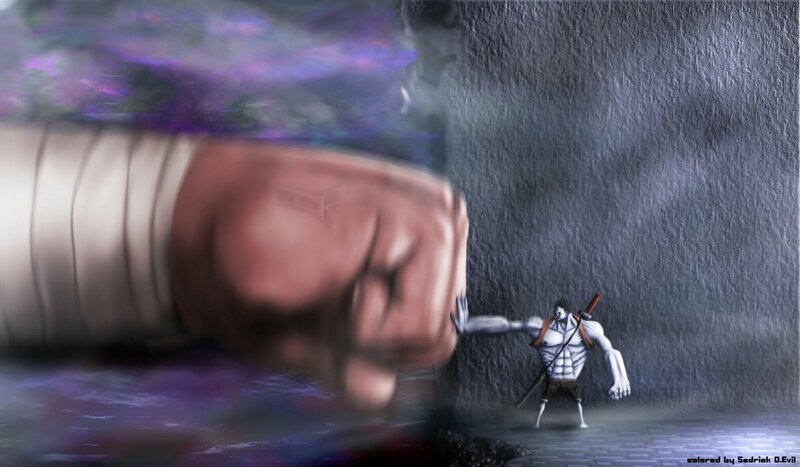 But still, aside from its versatility and the Getsuga Tensho-like projectile, we haven’t seen much from Ginjou. I think there is more to his fullbring abilities than what we have seen. Well ladies and gentlemen, we are finally back to the present time and the flashback have ended. To sum the chapter up; flashback ends, Nami does not hold a grudge, and Hordy(can be spelled Hodi) finally reveals himself. And the flashbacks ended at the perfect time, we know now some of the history of Fishman Island and why its inhabitants have some hatred towards the human race. The flashbacks were meant to give us an overview of two characters: Queen Otohime and Fisher Tiger, we read about their ideas and got to see their tragic deaths. Now we will see how this all ties up to the present time. They reveal the shooter to be a human pirate who was shot by the Neptune soldiers because he had a gun and we did not get to know why he shot the queen. One thing that caught my attention was the fact that Hordy (or spelled Hodi) was one of the first on the seen and was doing the shooting. This gives me the suspicion that Hordy might be involved in Otohime’s deaths. For one he was eager to show that a human killed the queen, and its is Hordy who in the present time one of the main villains. If it is one thing I learned from reading manga is that to never trust a villain. King Neptune reveals to us how his life used to be as a soldier. From his description I can assume that there was countless wars between the humans and Fishman race and just recently peace started to show. But he shows what most husbands would do to the killer of their wives; which is like Neptune stated ” tear apart” the killer. Though he chooses to fallow his wife’s wishes which is to not hold a grudge against the killer, from this act he has my respects. But it true what Neptune said it is not understandable of how some one cannot hold a grudge. When Neptune started talking about the cycle of vengeance, I could not help but think of the Naruto series which is one of the plot of the series of cycle of hatred/vengeance. But Oda gives us his answer to that question of solving the cycle which is basically not fallowing the cycle and to move on with life. The three Princes and their sister show something in this chapter that even their father King Neptune was not brave enough to do, to be able to fallow in the foot steps of their mother Queen Otohime. The oldest prince Fukaboshi seems to be the one most influenced by his mother as to how brave and determined he was to making his mothers dream and hard work come true no matte what. Even though they know full well the hardship of sleepless nights, people not listening to you and even having people trying to kill you, the Princes take their mothers role head on. 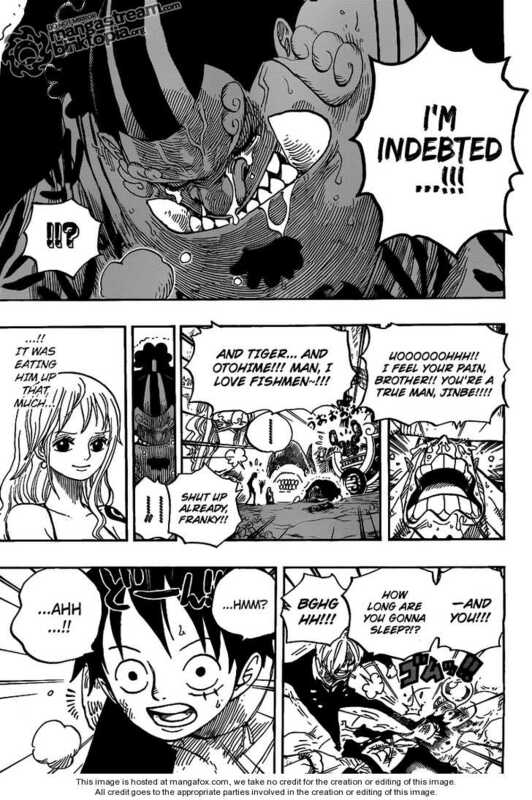 Jinbe really took it to heart of how Arlong was evil to Nami and was willing to take full responsibility. 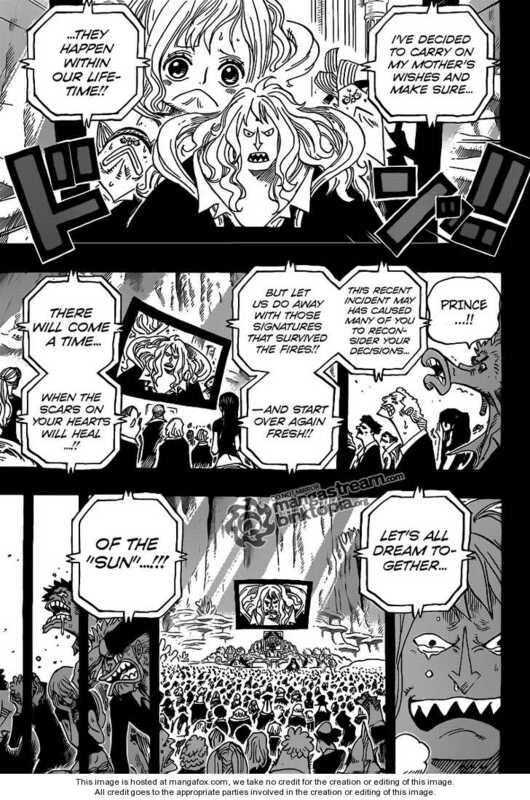 Nami even surprises me this chapter of showing some maturity, explaining how she only hates Arlong and not Jinbe. The old Nami would of still held a grudge to Jinbe even though he was not responsible for Arlong, but the fact that Jinbe did not stop him when he had the chance, Nami would put that against Jinbe. But she shows that the two years she spent in the cloud island has made her into someone more mature. Luffy on the other hand is still the same old goofy sleeping Luffy. For those who are new to One Piece, one of Luffy’s bad habits is that he falls asleep in awkward times. The plan of Hordy is to stop the reverie and something more sinister possible having an all out war with the humans. 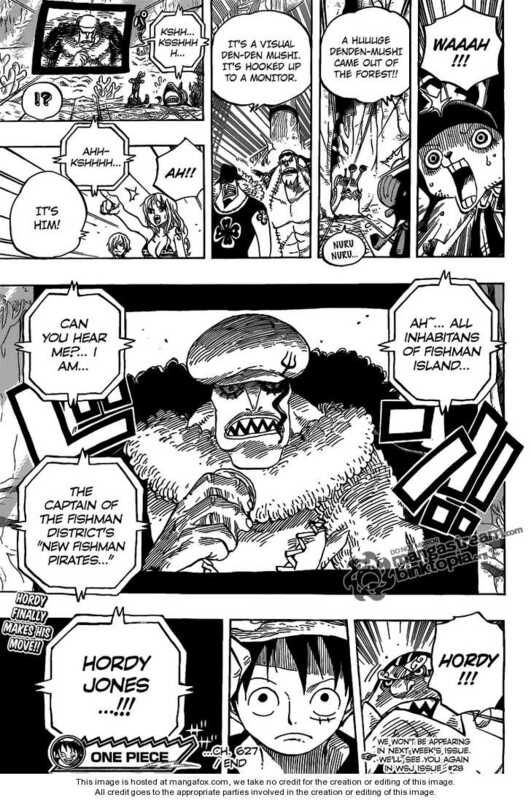 Now I’ve said this before the difference between Hordy and Arlong and this chapter reinforced my statement, is the fact that Hordy does not care about his comrades as much as Arlong does. 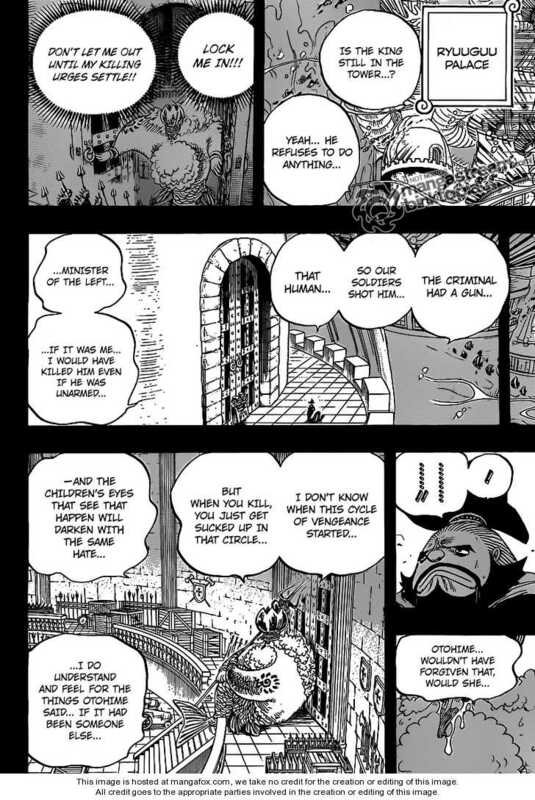 For instances when Luffy and Arlong fought Luffy used one of Arlongs comrades as a shield which made Arlong furious; while, Hordy voluntarily used one of his crew mates as a shield from Zoro’s attack, see the difference is that Arlong is more caring to his comrades than Hordy. My predictions for next chapter is that Hordy will blame the SH for kidnapping the princess and possibly framing the SH of attacking the Ryuuguu Palace. Or he could just announce his plan. Either way his announcement is not good news for our heroes. Even the marines can be bribed. The bad news is that there wont be any chapter next week. 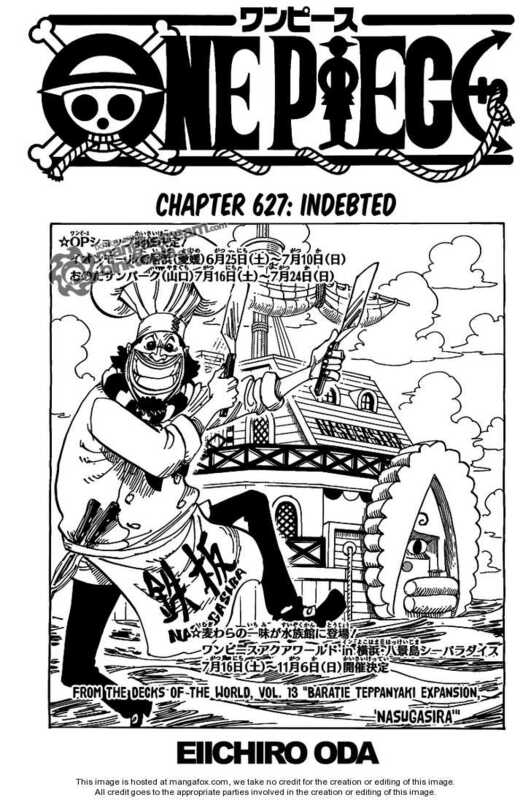 The title page made me laugh because that Nasugashira building looks like Sanji’s wanted poster.